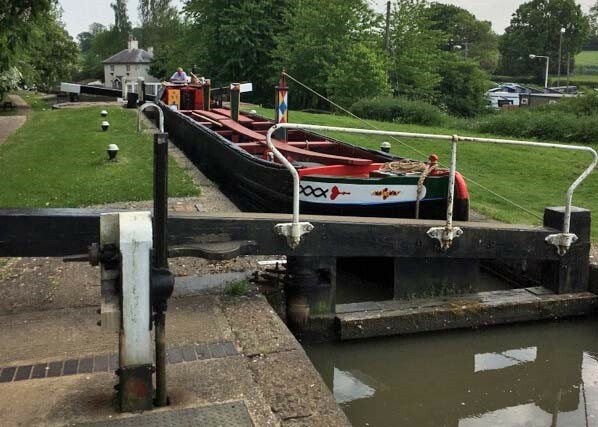 On the August Bank Holiday Weekend (27th – 29th) we will be moored at the Canal Museum in Stoke Bruerne. 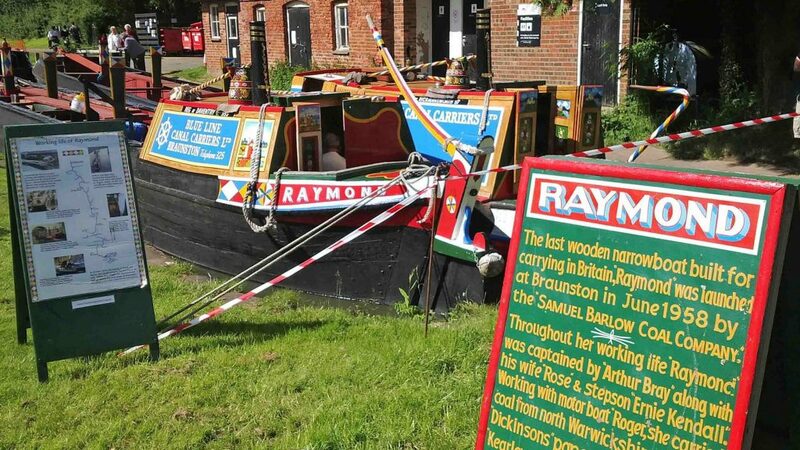 Our gift shop will be open and guided tours of Raymond will be available to the Public. 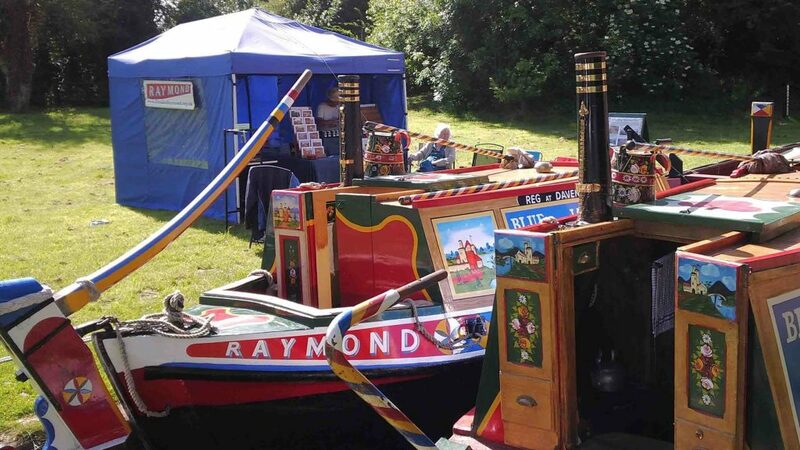 On 10th – 11th September, Nutfield and Raymond will be on display at the Saltisford Arm in Warwick. Everyone is welcome. 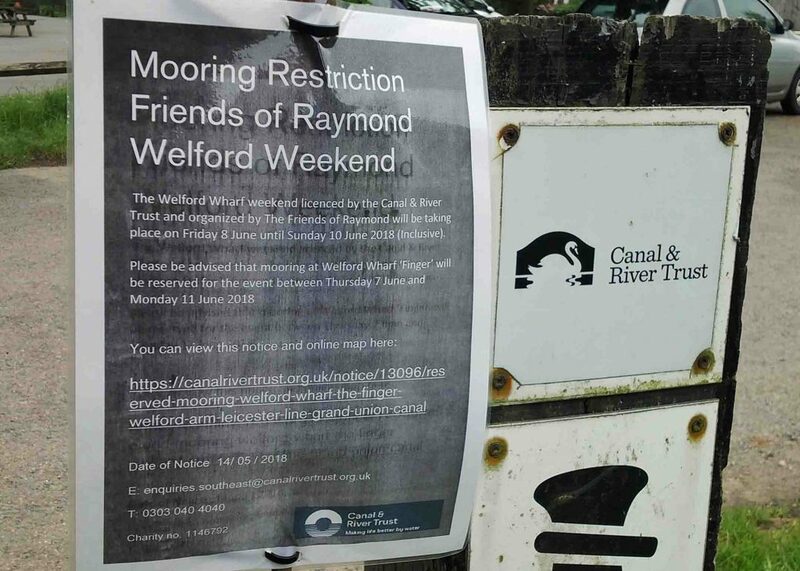 We have recently attended the above two events with our boats and the results of our efforts are as follows. 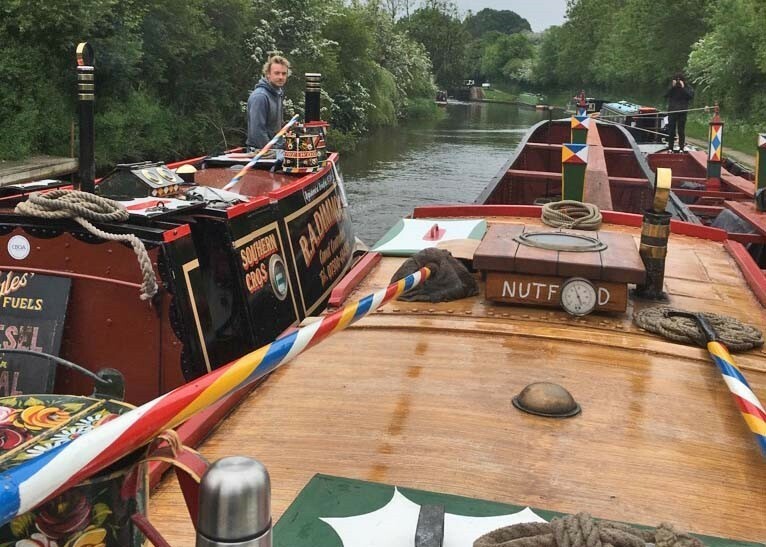 Rickmansworth Canal Festival. We have taken £355.65 with £293.60 for sales and £62.05 for donations. At the Crick Boat Show the weather was much better than last year although there were a couple of light rain showers on Sunday morning. We took a total of £1286.65 with £1085.06 for sales and £176.59 for donations. We also signed up a joint membership on Saturday plus one new single member on Monday. The sales figure is higher than normal as it includes the sales of Steve’s books as we shared our stand together in the Kingfisher marquee.It was well worth us putting in our efforts attending these two events. Just a three-minute impression of the trip. Keep up to date with any changes by viewing the VISIT US page. 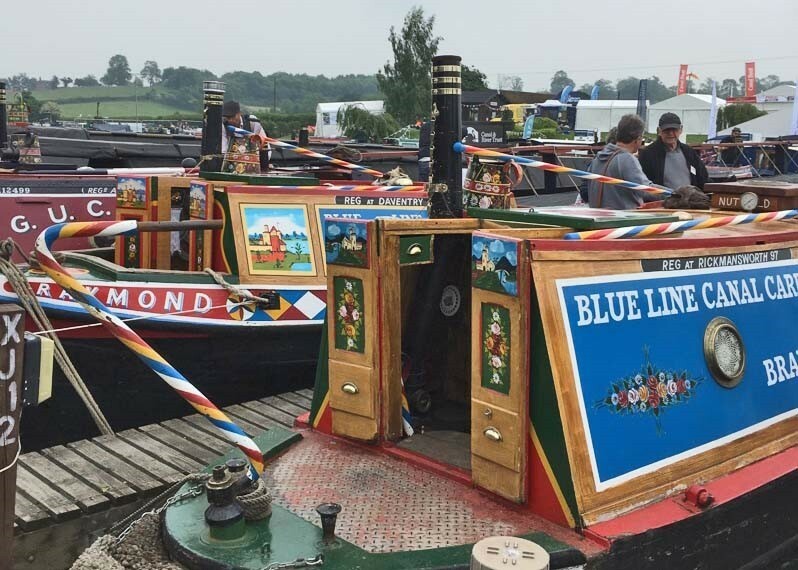 Raymond and Nutfield at Banbury – Waterways World reports! 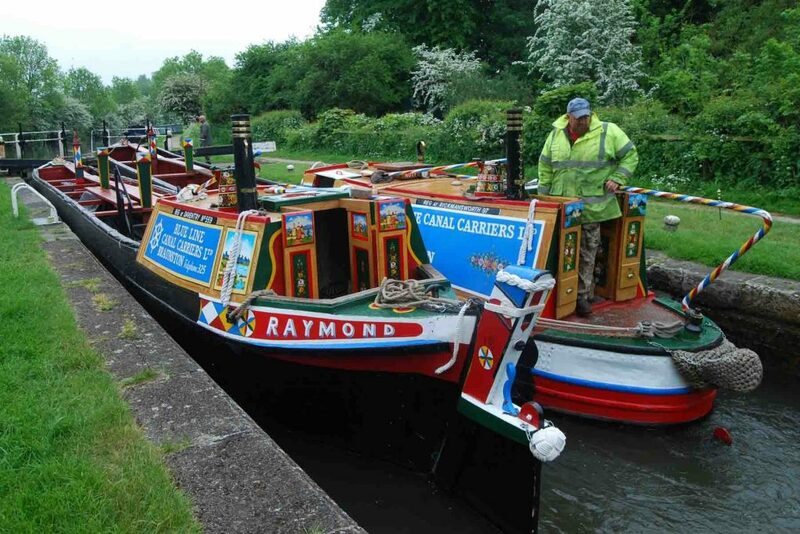 We had a very successful Banbury Canal Day on Sunday. The weather was not too kind to us both going down and coming back but on the day itself it was dry and sunny. 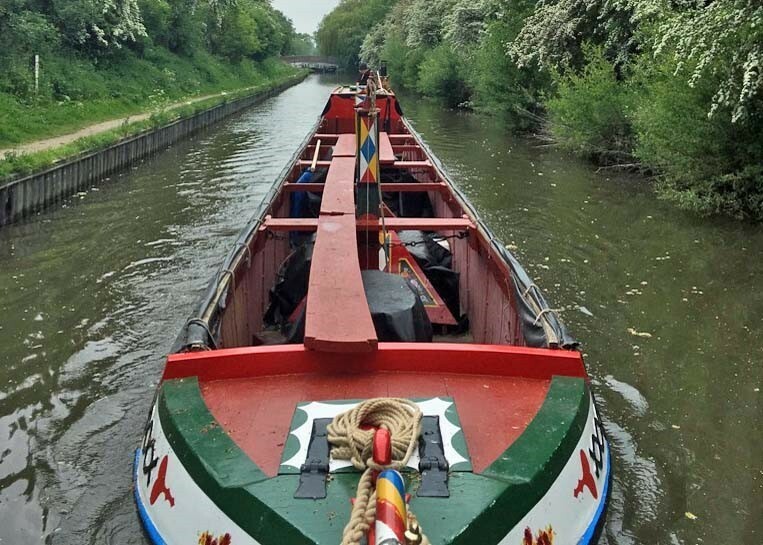 There were thousands of people present and the towpath was packed for most of the day with the public passing by our boats. The takings say it all. We took Sales of £279.42 and Donations of £52.49 making a grand total of £331.91. Yet another world record has been made with sales of 33 tea towels!!! The weather was dry on Saturday so we were open for business as usual. However on Sunday it was wet from first thing in the morning with showers on and off for most of the day. 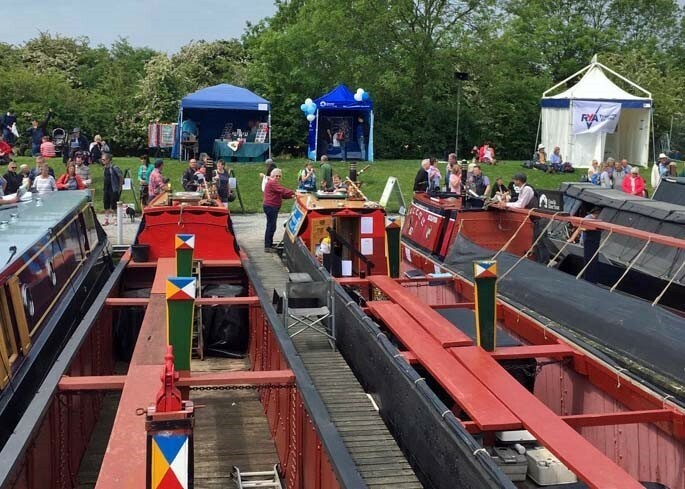 We therefore did not have our sales counter out but we did have the boats open for show rounds. There were also very few people about. We have taken £190.39 with £126.80 for sales and £48.59 for donations. We also signed up one new family membership. This is a good result for effectively a one day event.